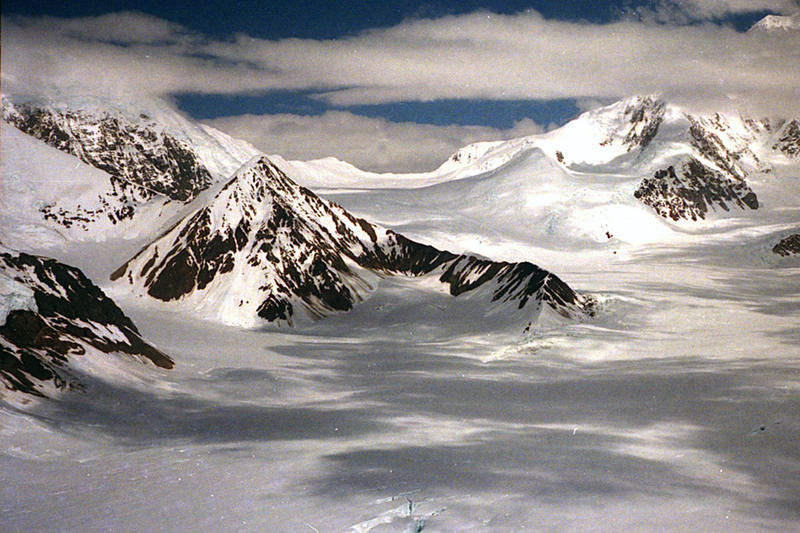 The eastern approach to the 12,000' McGee Pass. 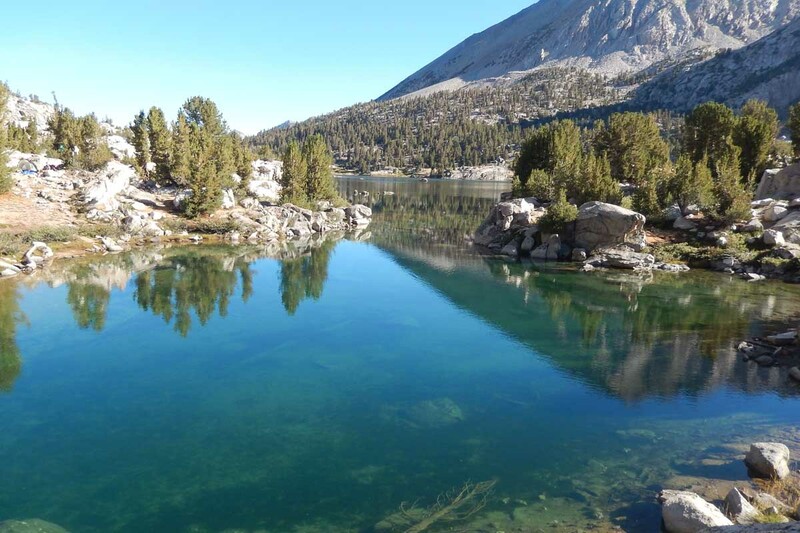 The Sierra Nevada in summer has a very benign climate with hot sunny days and cool to cold nights, with occasional thunderstorms. Kennedy Meadows Day = June 1 + [snow depth at Bighorn Plateau divided by 3.5] days. In 1994 the result was June 13. In 1998 the result was June 30. In 2002 the result was June 20 and in 2004 the result was again June 13. The result assumes that thru-hikers will still encounter plenty of snow, but it should not be overwhelming. 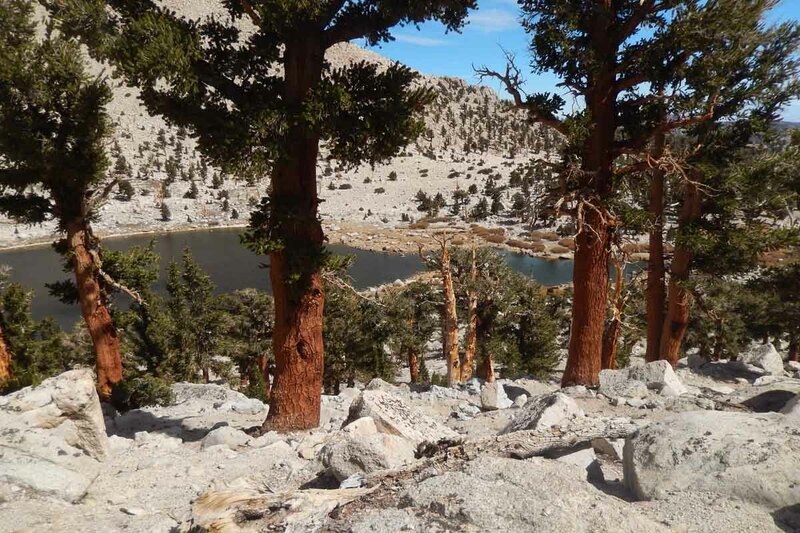 However, these early PCT thru-hikers will normally carry ice-axes and boot traction devices such as crampons or micro-spikes for dealing with Forester Pass and perhaps Glen, Pinchot and Mather Passes. 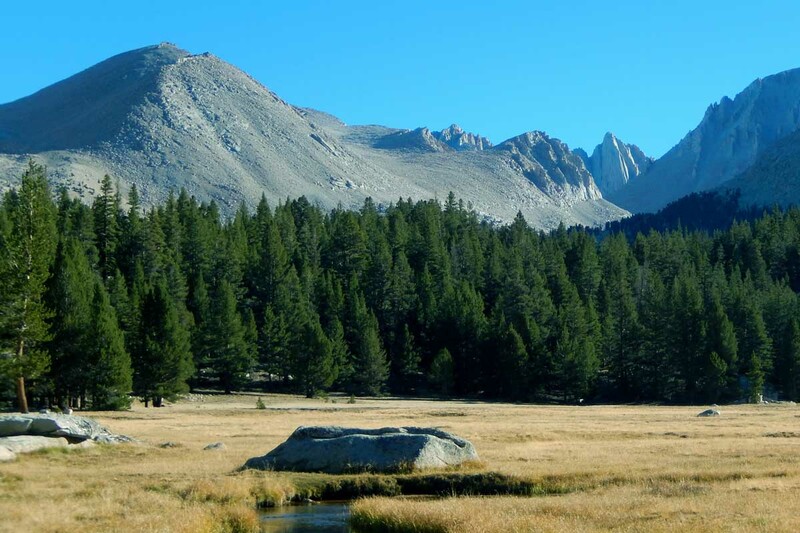 Other problems associated with delayed snow-melt include dangerous crossings of flooded creeks, closed access roads [Tioga Pass, Red's Meadow, South Lake etc]. and late hatching of the humble mosquitoes. 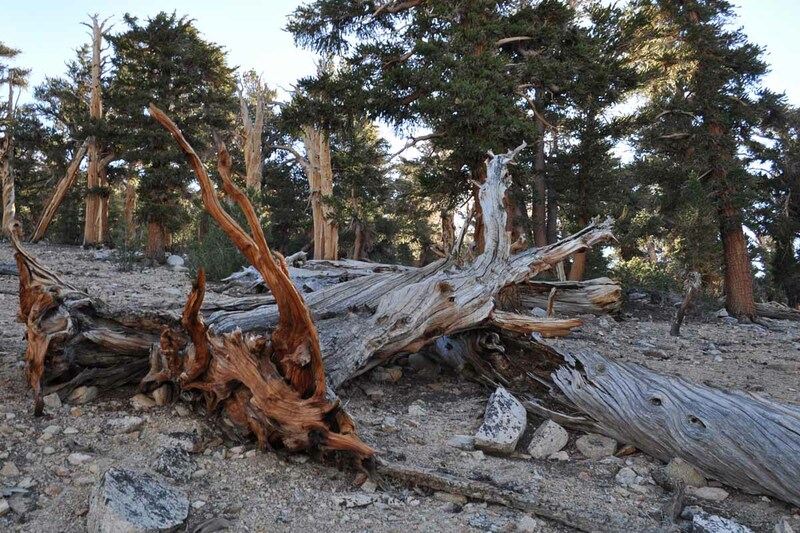 Take appropriate clothing and equipment for the high elevation environment when hiking the long trails in Fall. My one equipment limitation is a sleeping bag that’s lightweight, compact, more than adequate for summer in the Sierra Nevada, but too cold for Fall/Winter trips. I handle this problem with the substitution of a 5°F bag … a little heavier, more bulk, but necessary for temperatures below 25°F. 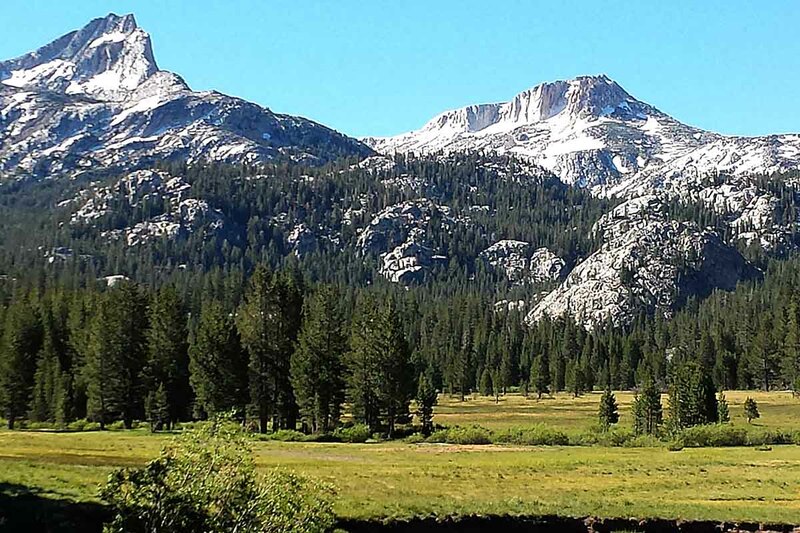 Realize that by mid to late September many of the Sierra bus/shuttle services will have stopped operation and in the event of early October snow, roads could be closed to trailheads … until late Spring! 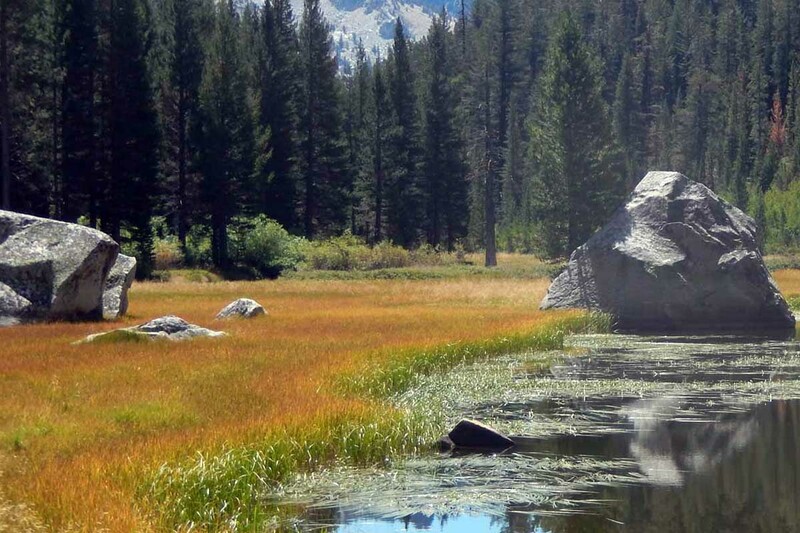 Leaving personal vehicles at Tuolumne Meadows, Reds or Agnew Meadows, South Lake etc. for long periods, is a chancy business. Having someone drop you off is the smart thing to do … even if you have to pay [through the nose!] for a private shuttle service. 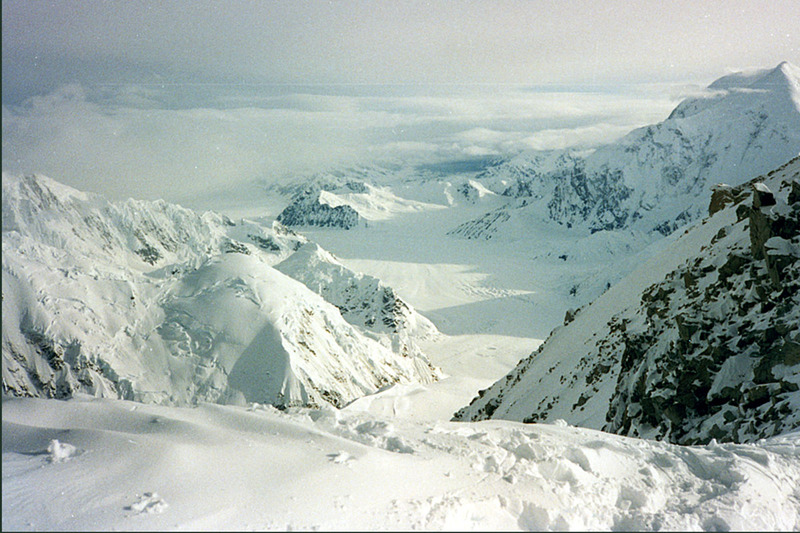 In trip planning, make provision for the shorter days, heavier packs and optional bailout routes that may have to be used in the event of early snow. 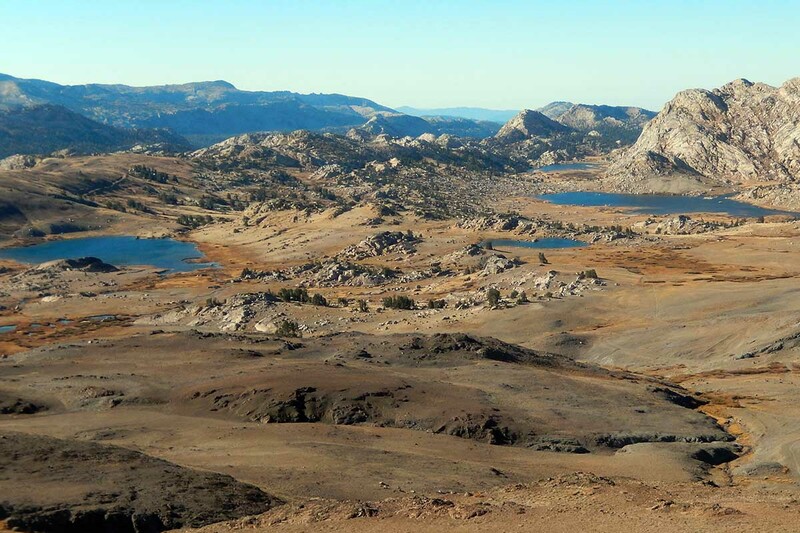 It would be prudent to carry snowshoes by mid October … always remember the lessons of the Donner Party! 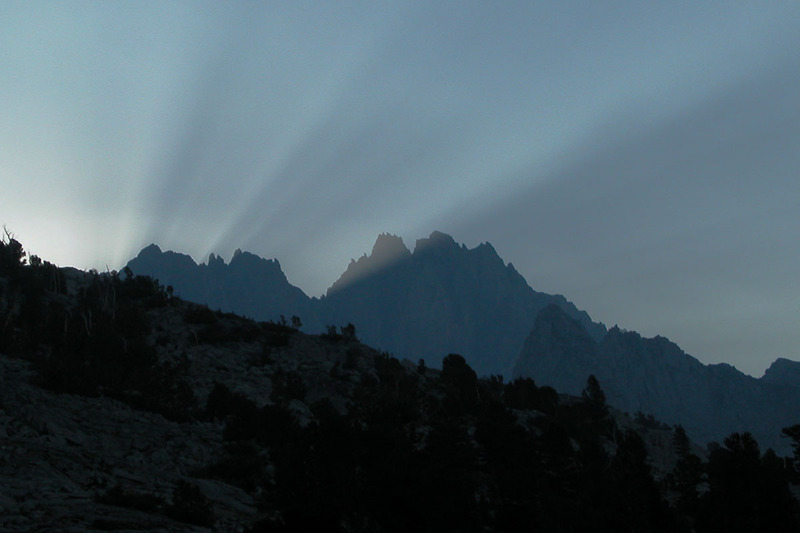 What may be possible from mid September through October is JMT circuits: South Lake to North Lake, Onion Valley to Whitney Portal, Mammoth Lakes to North Lake. All these routes have bailout points to the western side of the range, to be used if absolutely necessary because of early snowfall. Also, these routes can be done without resupply, and hiked on a more leisurely schedule to offset the shorter days and heavy packs. The selection of clothing and equipment for long distance hiking is ultimately a personal decision, based on research, recommendations from various sources, but most of all - experience. The options vary from minimalist at one extreme to the traditional backpacking style of yesteryear. 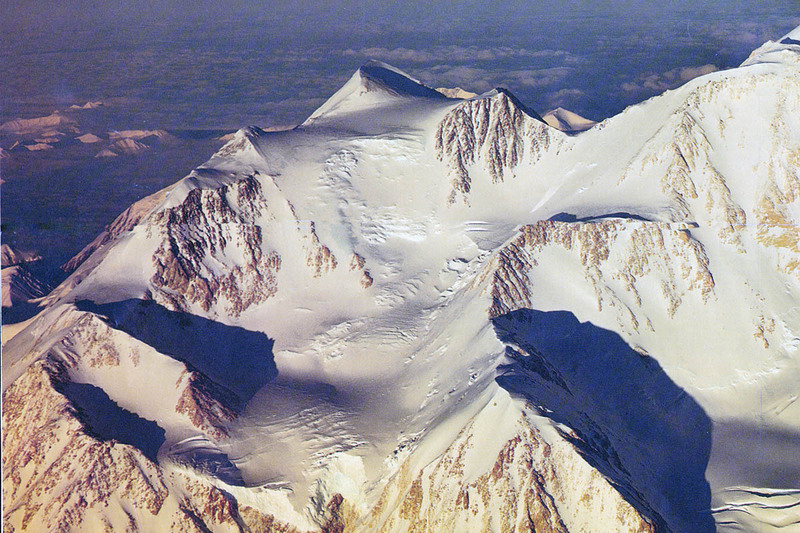 I've chosen the middle position, because I come from a background of mountaineering and associated approach backpacking. I spent years hauling big pack loads into base camp locations where much of the camp weight remained before making fast/light alpine ascents. Obviously this kind of pack load doesn't work well on multiple day hikes ... and furthermore, is not needed. 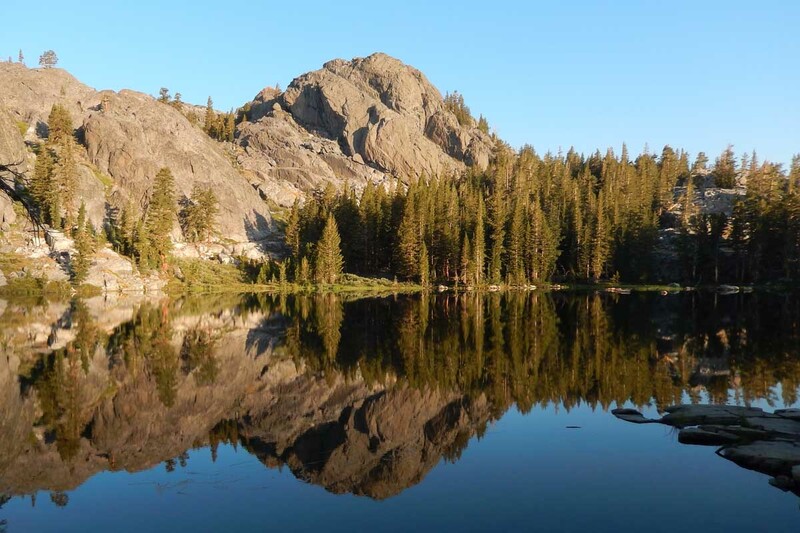 Rangers in the Sierra Nevada recommend three foolproof methods of water treatment for giardiasis: filtering, iodine, or boiling. Using the latter method, keeping the water boiling for at least two minutes at 190°F kills giardia cysts instantly, but nastier bugs survive a little longer. At 10,500', water boils at 193°F. My personal choice is to boil water in camp for food preparation and drinking. However, with the introduction of the simple in-line Sawyer Mini filter [2 ozs], I've now reduced my boil time and thereby saving fuel consumption. During the days actually on the trail, I use iodine tablets for the half liter of water I normally carry. Which Way to Go: South or North? 1. 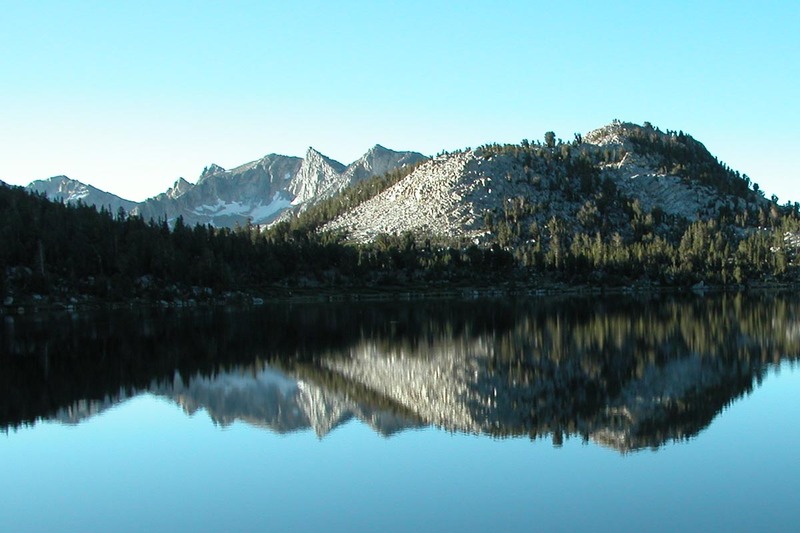 Wilderness Permits for the JMT are easier to reserve, and obtain, from Yosemite National Park than from Whitney Portal. 2. 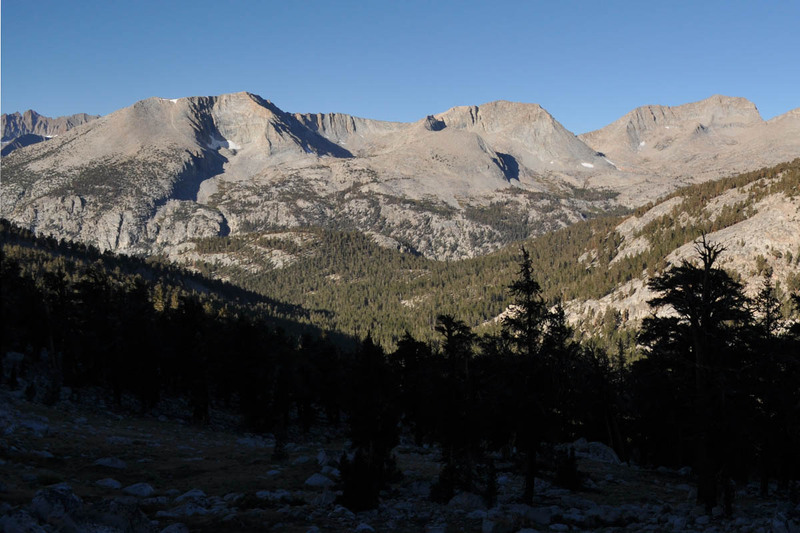 The climb from Whitney Portal over Trail Pass [13,650'] within the first two days, combined with a heavy food load for at least 5 days [assuming resupply at Onion Valley], or in the worst case, 11 days, for a resupply at Muir Ranch. The faster you hike, the further you can go each day, the less food you need to carry and therefore the faster you can go, etc. This is the style of PCT thru-hikers, many of whom can hike 20-30 miles per day, but their mission is to cover 2,600 miles against the ticking clock of summer weather before the first snows arrive in the Northwest. 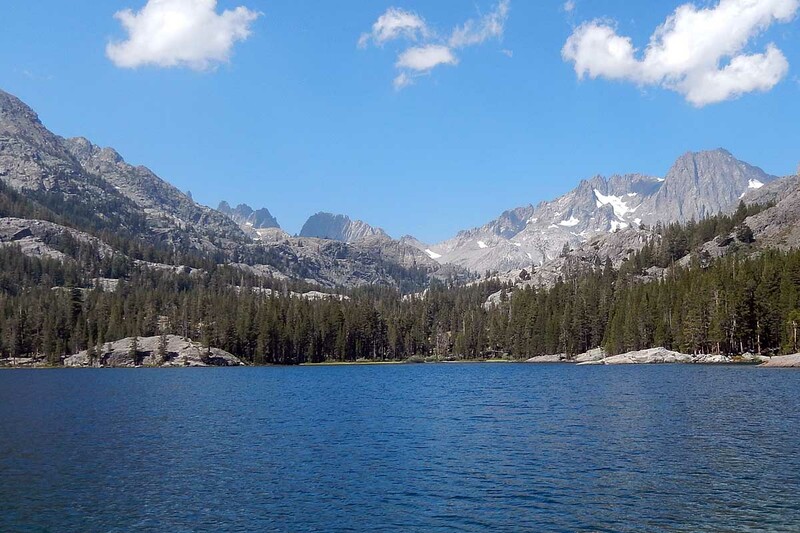 For many JMT thru-hikers, their mission is to complete the Trail during three weeks of summer weather ... at a pace of 10-12 miles per day, take photographs and enjoy the magnificent glory of the High Sierra. 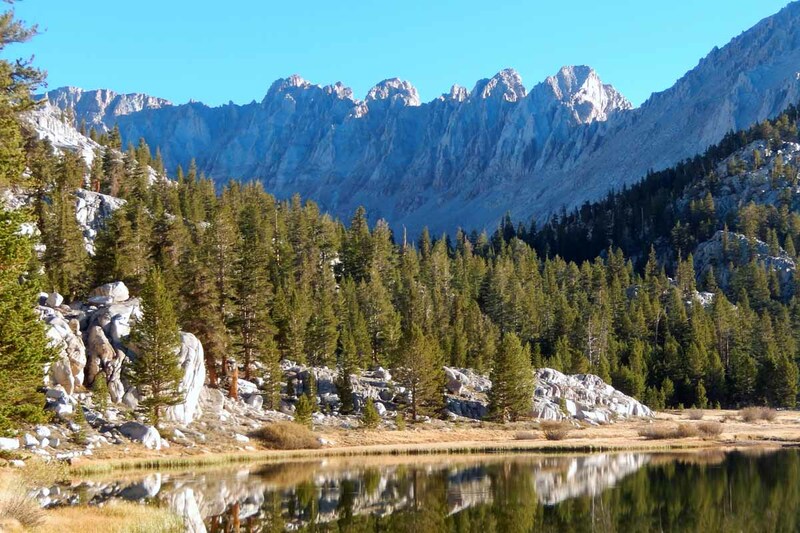 This requires resupply options for food, complicated by the Park & Forest Service regulations to carry a bear-proof canister for storing food at campsites. The standard approved canisters have capacities of 600-700 cubic inches, providing space for up to 8 days of food. 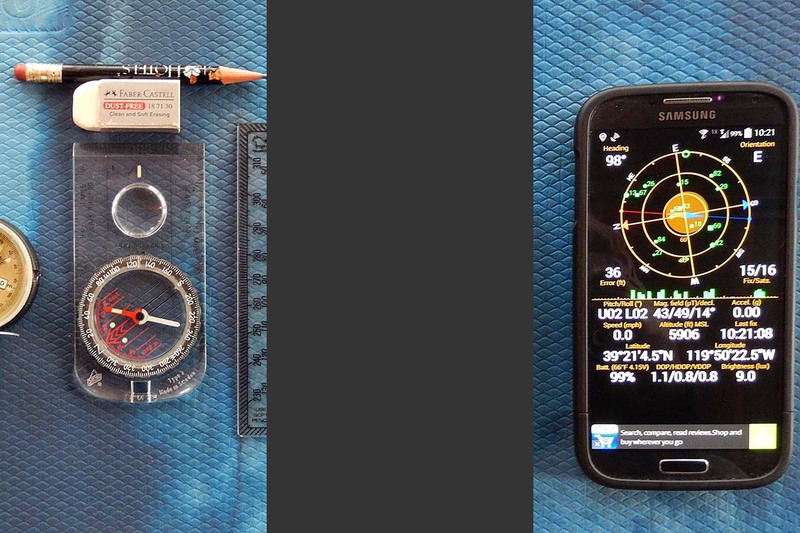 The result is that food resupply planning is based on canister capacity and not weight. 1. 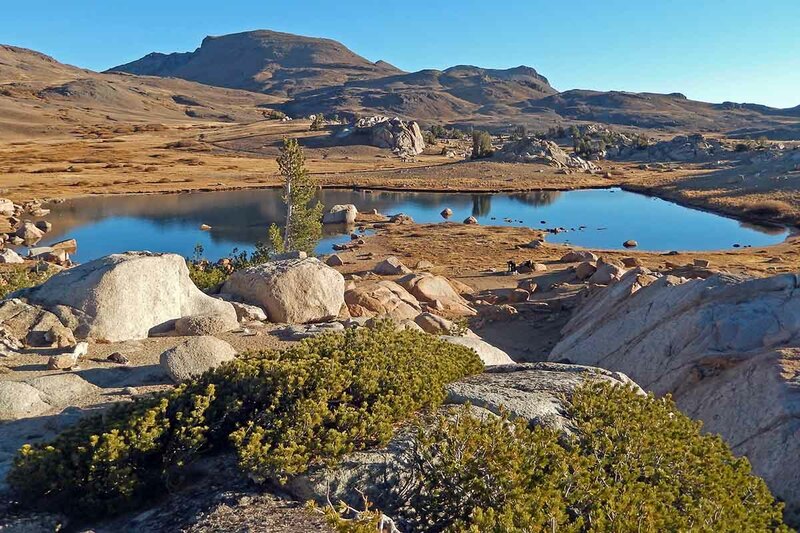 Start the hike at Tuolumne Meadows with 3.5 days of food and stove fuel. 2. Take the Red's Meadow shuttle out to Mammoth, position a vehicle at Onion Valley and shuttle back to Red's with 2.5 days of food and fuel. 3. Stop at Vermilion Valley Resort for a zero day and purchase 2.5 days of food and fuel from their store. 4. Make a brief stop at Muir Ranch to collect the bucket of food [8 days] I'd mailed three weeks before. Purchase stove fuel from the Ranch store. 5. 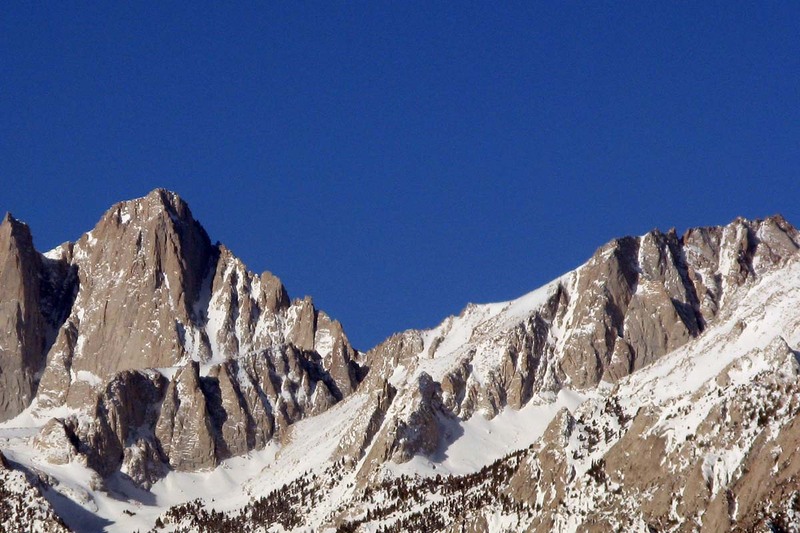 Eight days later, hike out over Kearsarge Pass to Onion Valley, drive to Bishop for a zero day and reposition 2nd vehicle from Mammoth to Whitney Portal. 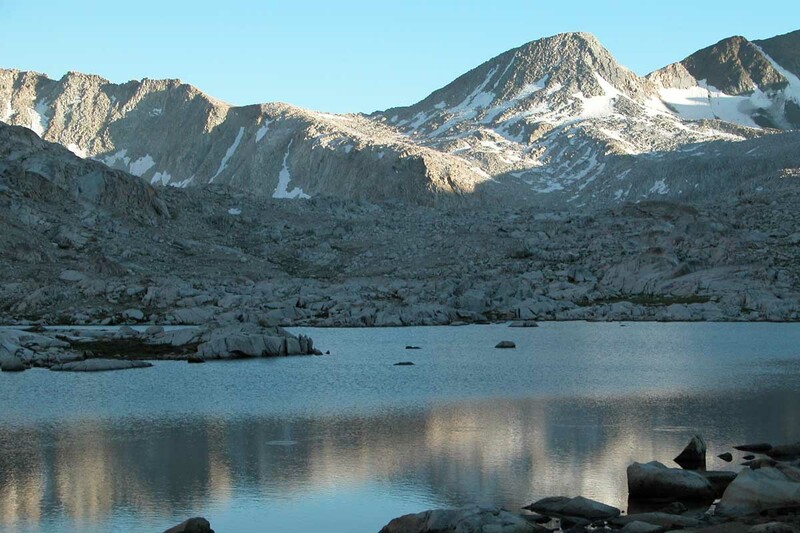 Resupply in Bishop with 5 days of food and fuel, then drive back to Onion Valley to hike back over Kearsarge Pass to the JMT. I've made every attempt to ensure the information presented on this website is accurate. I am not responsible for any loss, damage, injury, or inconvenience that may occur to anyone using this information. You are responsible for your own safety and health while in the wilderness. Always check local conditions and know your own limitations.